Tea typically doesn’t translate to adventure for most, however, in the tea house Haas & Haas, you can go on an adventure from China, to Frisia in Northern Germany, zip over to Russia to meet Chekhov, and down to Morocco and other exotic places where some of the rarest teas in the world are produced. It’s the fascinating culture that surrounds tea that interests me. Frau Haas tells us as she explains the tea ceremony that goes with the tea served in Eastern Frisia, the slice of northern Germany boasting one of the most robust tea cultures in the world. We realise the romance surrounding the humble drink of tea is as universal as the hot drink itself when Frau Haas moves on to educate us on Maghrebi (Moroccan) tea. The Moroccans pour their tea from high above the cup as it should look like a waterfall in the desert. Frau Haas is named Eva, but we call her Frau Haas as it just seems to suit her. While she talks passionately like a child about tea, she emanates that old Viennese mix of boisterous elegance rarely seen anymore. 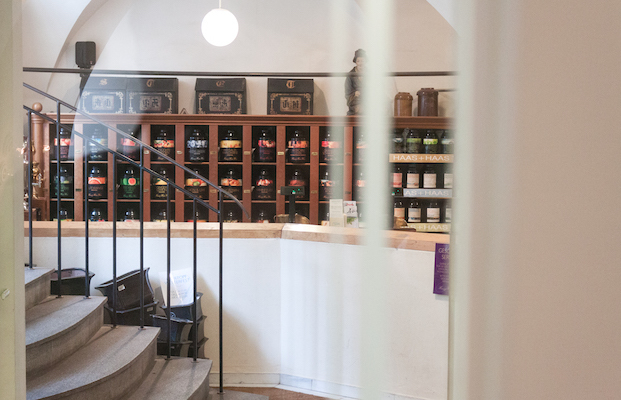 The store and neighbouring teahouse of Haas & Haas is also a dying breed of this sort – a Viennese institution that was born and raised in this city and where a visit goes far beyond what you buy, but the experience you’re given by the atmosphere you feel when you’re there. After visiting Haas & Haas, we had many friends tell us that it’s a family tradition of theirs to visit this place every year before Christmas. Meanwhile, tea aficionados know that the Haas & Haas store is the city’s Mecca for tea. Here, fruit, herbal, black, green, and many more kinds of tea can be found, including those of the highest of quality, a few house creations, and teas that are so rare, they are only delivered in 1kg amounts from distant corners of the world. 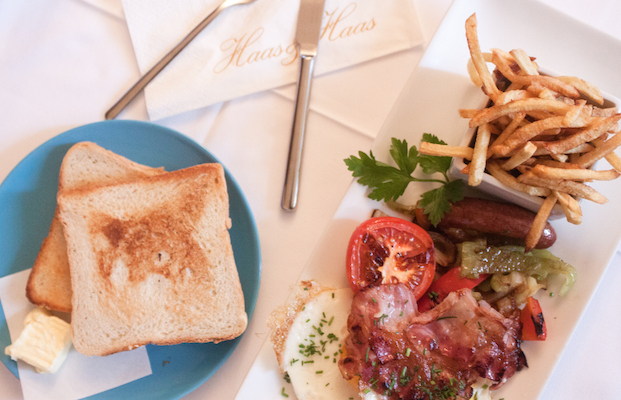 Haas & Haas is a family business, which Eva’s daughter Nini, is taking into the modern age. 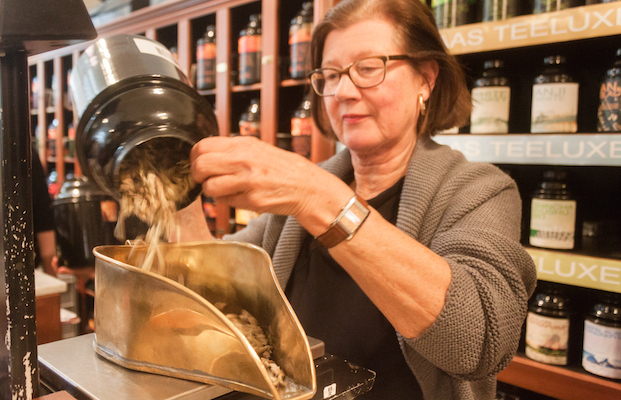 And she’s just as passionate about tea as her parents, who have travelled far and wide as a family to seek out the rarest and best of tea since they opened the place in the 1970’s. The store is a library of tea, with packages of hundreds of tea (300–400 to be exact) lining book cases. Under the warm lighting from the arched roof of the teahouse, all sorts sip and pour at tea while chatting. The tea house menu hosts dozens of teas, most of which we’ve never even heard of, and some we have trouble pronouncing. Each tea is served differently and most come with a method of serving. The waiting staff perform the role akin to a tea dictionary, explaining all you need to know before you have a chance to ask. 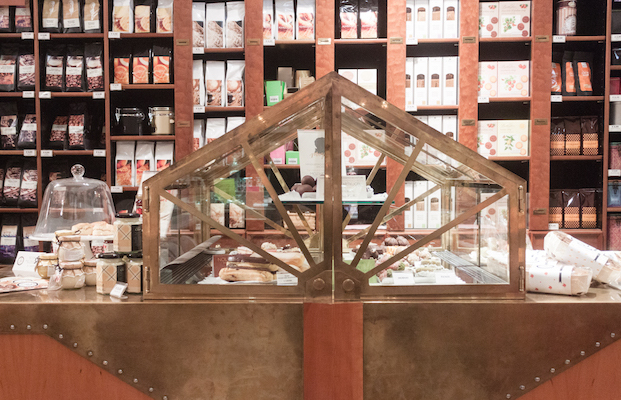 Tea time is an experience at Haas & Haas. Drinking the Russian tea involves a spoon of marmalade being swirled around your mouth with the bitter black tea like a washing machine. 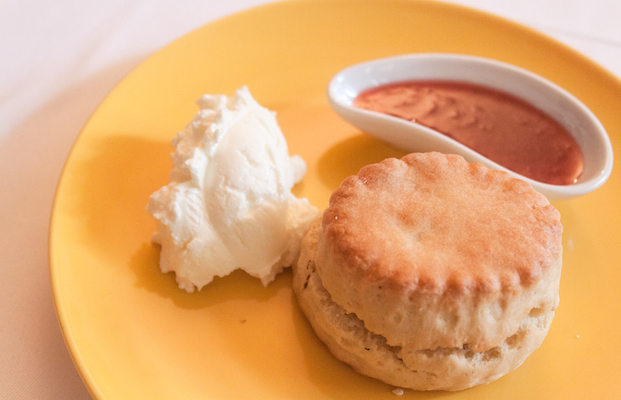 The English tea requires you holding your pinky finger high, and exclaiming randomly, ‘Tally ho!’ out loud (ok, we may have made this one up). 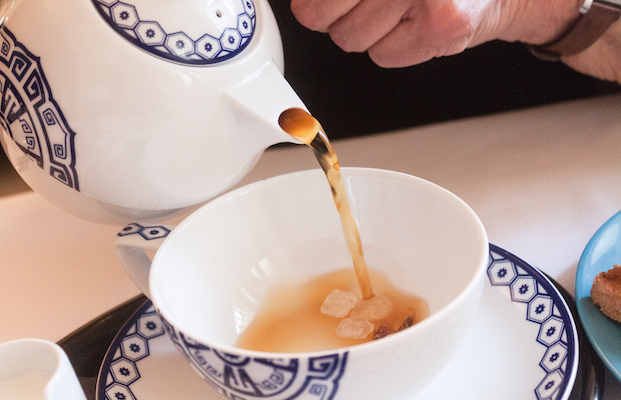 The tea house obsessively tries to stay true to the traditions and presentation of each tea. Same goes for the breakfasts in the menu, which mimic the morning meal common in the tea producing nations of the world. 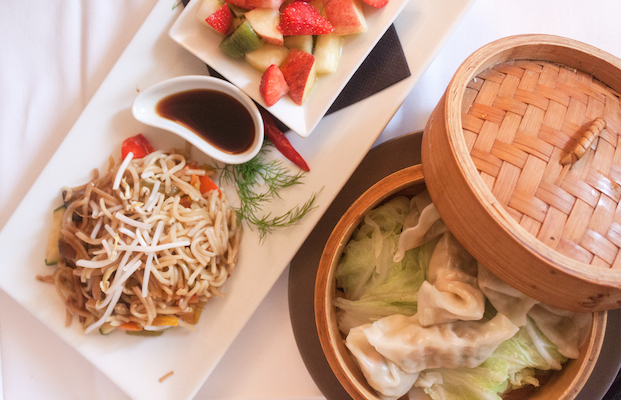 The Chinese breakfast involves dumplings and noodles, while the Japanese breakfast (made up of Miso soup, an omelette, fried salmon and rice with a green tea) is a unique find in Vienna. Predictively, the English breakfast (including baked beans, bacon, well-cooked eggs and toast) is what wins the prize for, ‘Most Popular’. 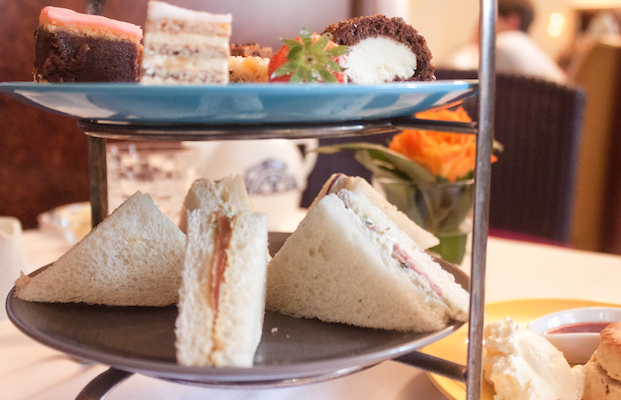 You can also treat yourself to one of the best afternoon teas in the city here. And we’re not just talking the well-known British ‘High tea’ (which they also have, including tasty scones, jam and cream, cakes and cucumber sandwiches cut into triangles), but also a Russian afternoon tea, made up of Blinis and several fishy garnishes to top them. Or the sweet (Brioche with jam and cream) and savoury (egg cakes topped with shrimps) Ostfriesischer afternoon tea (Eastern Frisian tea). Which ever nationality you choose your afternoon tea to be upon your visit, you’ll be traveling (or atleast your tastebuds will) in this little place located behind Stephansplatz. Insider Info… from the middle of November, Haas & Haas hosts a Christmas market in the inner courtyard. Find more info, here. We love… the Meringa tea (very fruity and very healthy for you). 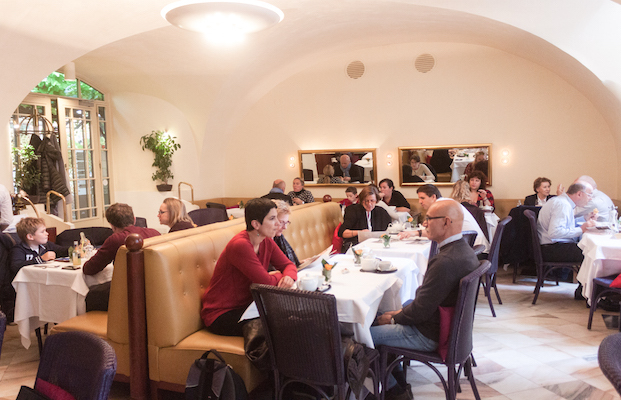 We recommend… visiting when their pleasant al fresco garden in their inner courtyard is open.